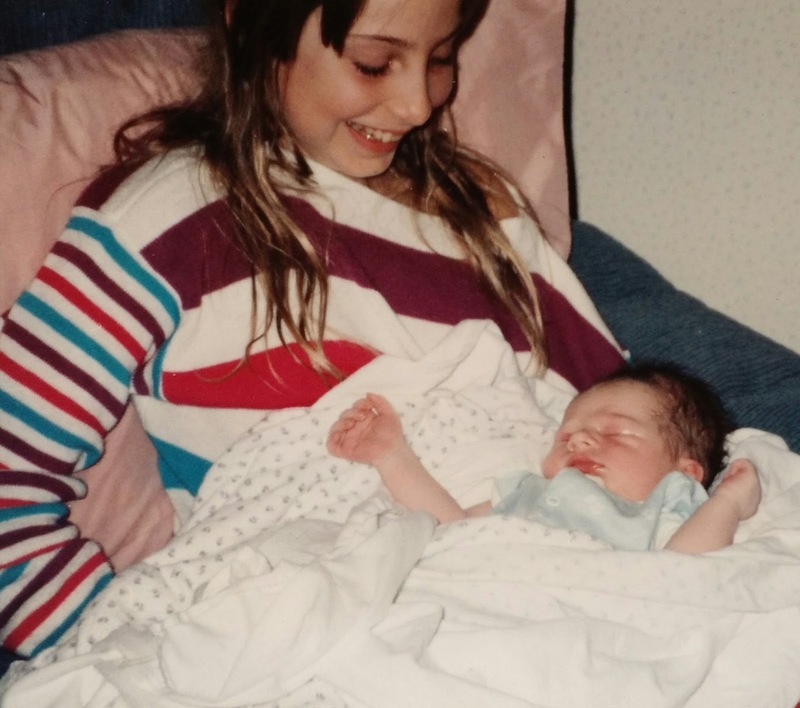 Twenty-five years ago tomorrow, my youngest child was born in our RV on the way to the birthing center. I mention this because each of us has certain experiences in our lives that define us as a family, stories remembered and recounted long after the events took place. That’s the kind of story my son Toby’s birth is - a moment as vivid in my memory today as it was a quarter of a century ago. In 1992, Ralph and I and our three children - Amber, Jenny and Timmy - were living in Kissimmee. I awoke around 5 a.m. on the morning of February 21 with pains in my abdomen that might have been Braxton-Hicks contractions. Or maybe not. After waiting for about an hour, I realized that the feelings I had were decidedly different than the contractions I’d experienced earlier in my pregnancy. So I woke up my husband and told him it was time. He sleepily responded by asking if I was sure. In a less than gentle way I told him, YES! And he’d better get out of bed and rouse the children NOW because we needed to get going to the birthing center right away! My husband is an intelligent man. Upon noting my tone, he quickly complied. It might be helpful to mention at this point that each of my three previous birthing experiences had been long and arduous. It took two days for my first child to come out of the womb. My second took about a day and the third birth was relatively short at only 12+ hours. Needless to say, I expected this fourth and final birthing experience to be more of the same - yet another long, trying effort to bring new life into the world. To be prepared for the expected marathon, Ralph had equipped our Class C camper with plenty of games, toys and food to keep our three children - ages 12, 11, and 9 - occupied for the 45-minute drive to the birth center as well as during the long, drawn out delivery period we anticipated. But things don’t always work out the way we think they will. A little after 6 a.m. with me sprawled out on the camper’s rear bed, the kids comfortably situated in the overhead cab and my husband in the driver’s seat, Ralph backed the RV out of our driveway and hit the road. In many relationships, the husband is the designated driver or both partners take turns behind the wheel but that’s not the way our family rolls. In our household, I’m the one who steers the wheel. I like to drive and have a good sense of direction, both of which my husband lacks. Because of that, I've always felt nervous on those rare occasions when my spouse is in the driver’s seat. But this time, there was no time to feel anxious or worried. I had a baby ready to be born and a husband who assured me he’d have no problem finding his way to the birthing center. He could do it, he said. All I had to do was concentrate on staying calm. Any semblance of calmness I might have had vanished about 40 minutes into the drive when the father of my children called out in a frantic voice that he was lost. “Which exit should I take?” he asked via Amber, who was acting as a go-between, ferrying messages from the front of the RV where Ralph was, to the back of the camper where I was laboring with help from 11-year-old Jenny. As soon as I heard the words, “I am lost,” a howling sound erupted from my mouth. But we were lost - or, more accurately, he was. Although we were actually only a couple blocks away, those couple blocks didn’t matter because the scream that had erupted from my innermost self did much more than vent my frustration. It caused baby #4 to pop out of my body straight into my young daughter’s arms. When Ralph realized what had happened - thanks to Amber’s messaging and Jenny and Amber’s combined midwifery skills - he pulled onto the shoulder of the Par Avenue exit ramp and came back to check on me and meet his new son. When he realized we were both well, he returned to the driver’s seat and continued on his way, arriving at the birthing center minutes later where the staff efficiently took charge. During all the commotion, 9-year-old Timothy was doing what 9-year-old boys do best - being oblivious to the world around him. Instead of freaking out like the rest of us, he was taking advantage of the well-stocked RV, munching on snacks and playing cards in the upper bunk. But we weren’t about to leave Timmy out of the action. Since he hadn’t participated in the actual event like his sisters had done, the birthing center staff invited him to cut the cord, which he did. Was I mad that my husband got lost on the way to the birthing center? At the time I was, but any anger I felt in the moment disappeared with my new child’s arrival. In retrospect, Ralph’s mistake was the best thing that could have happened. Thanks to his poor sense of direction, I had the fastest, easiest, most memorable birth possible, not to mention a great story that still makes me smile 25 years after it happened.